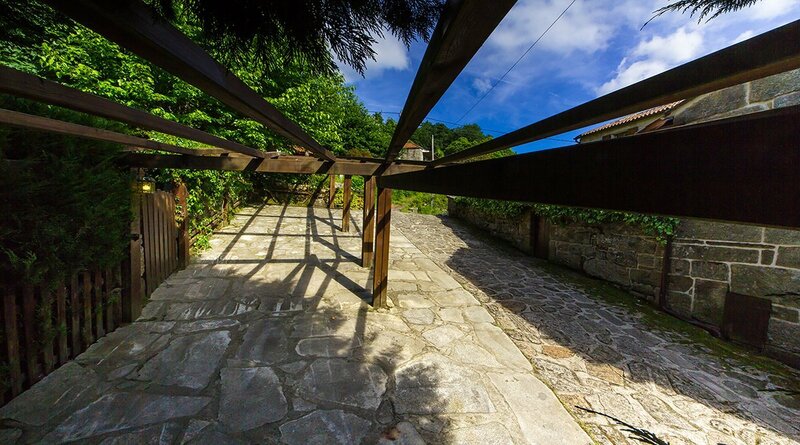 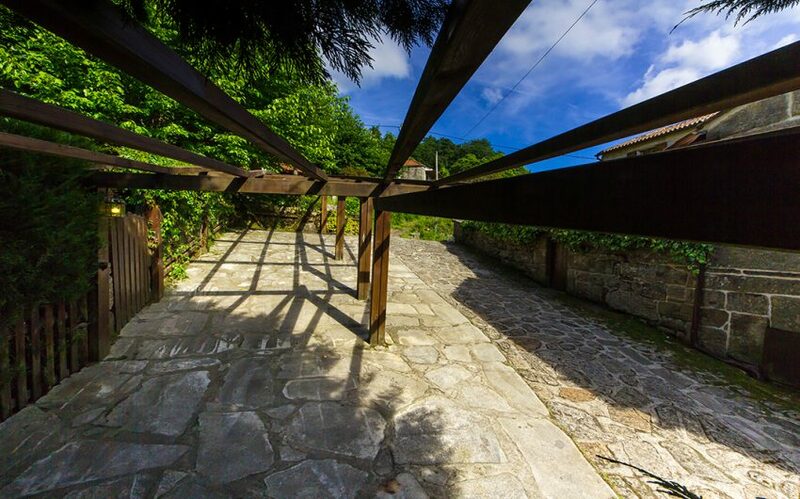 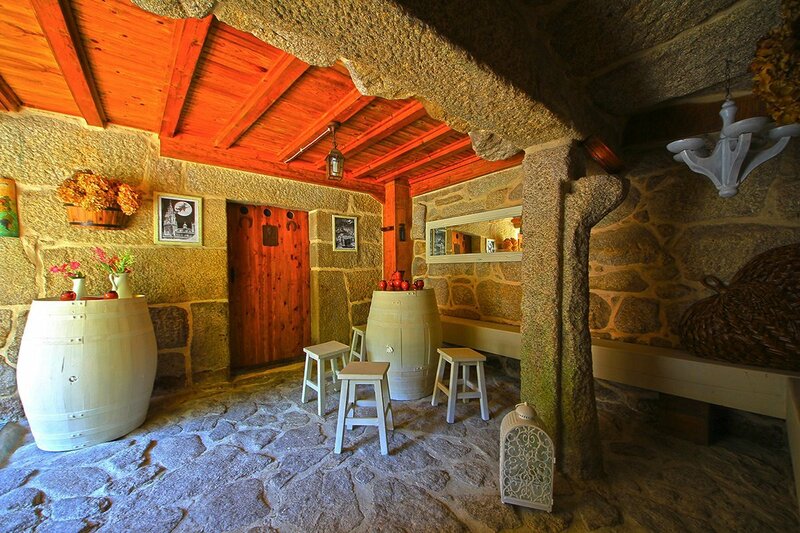 CAS DO MESTRE is a Rural House in Galicia for 10 people. 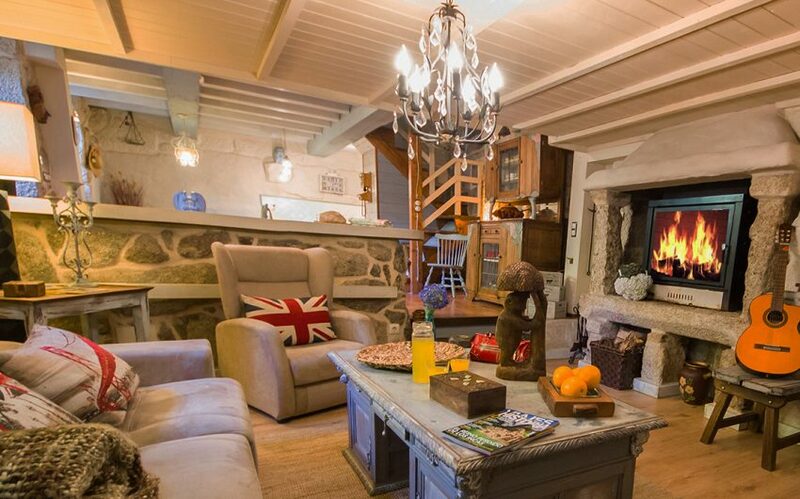 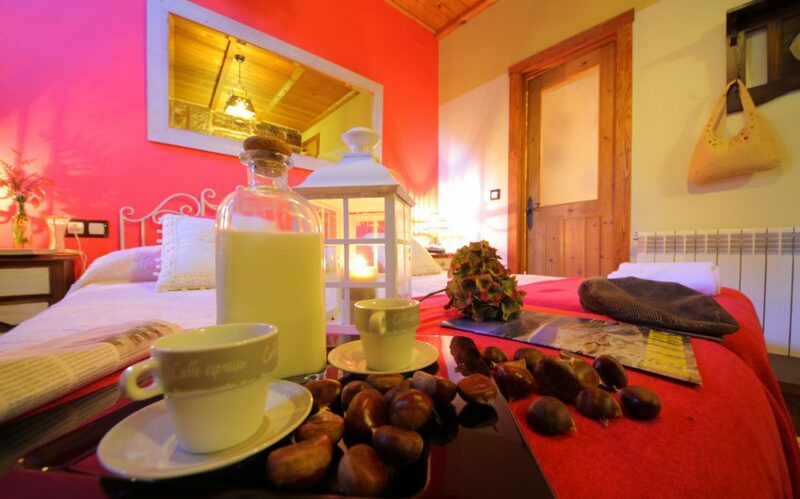 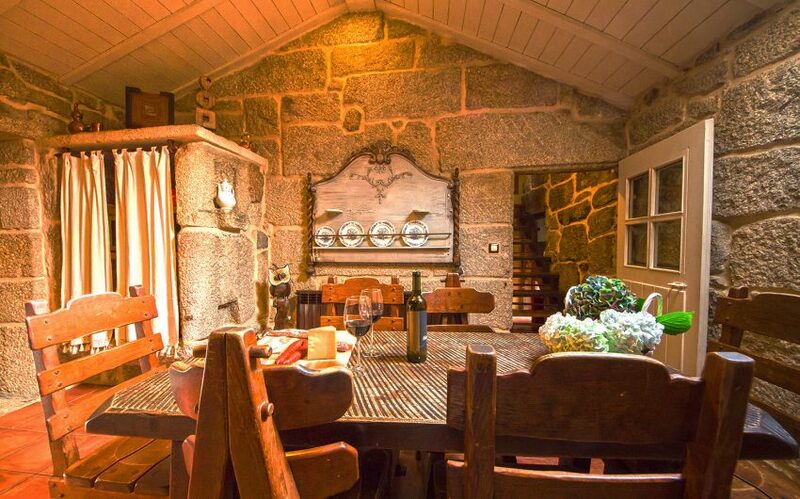 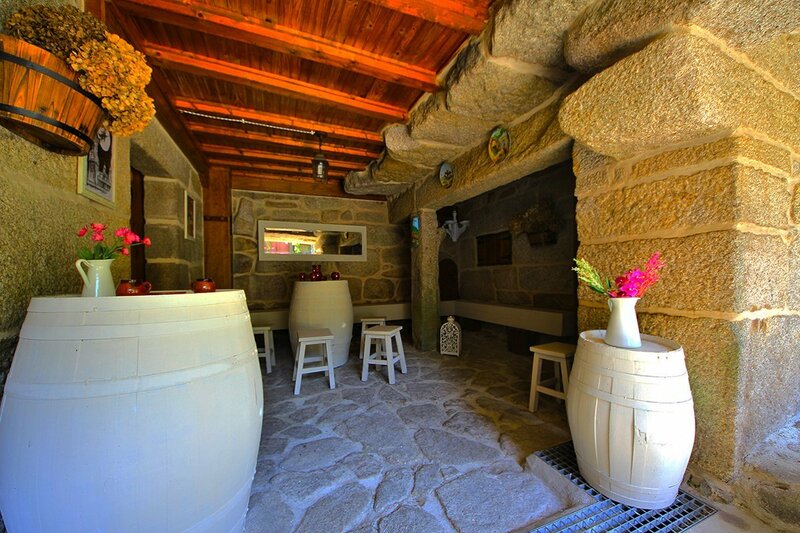 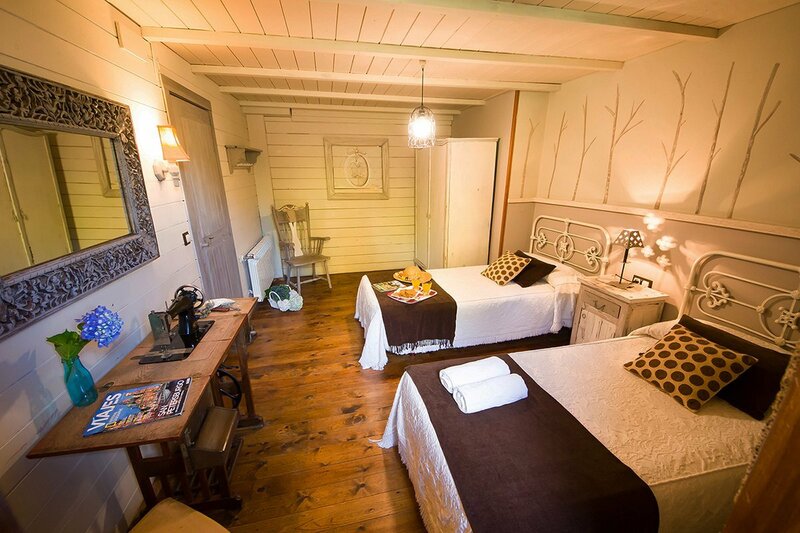 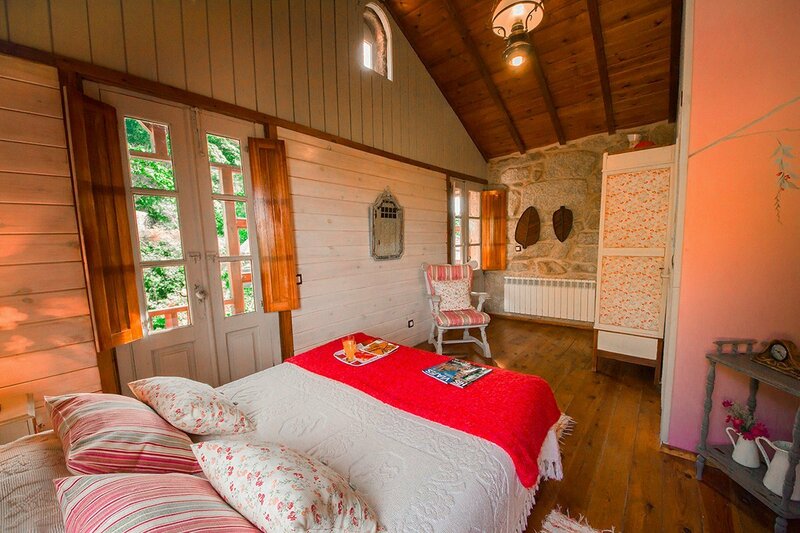 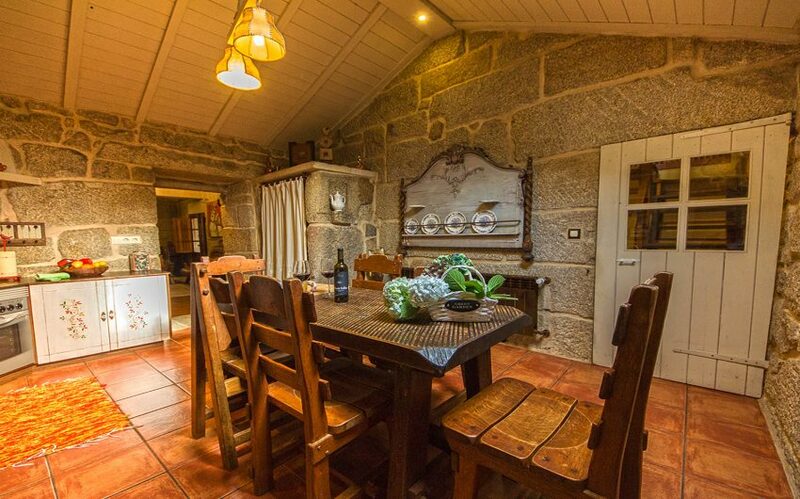 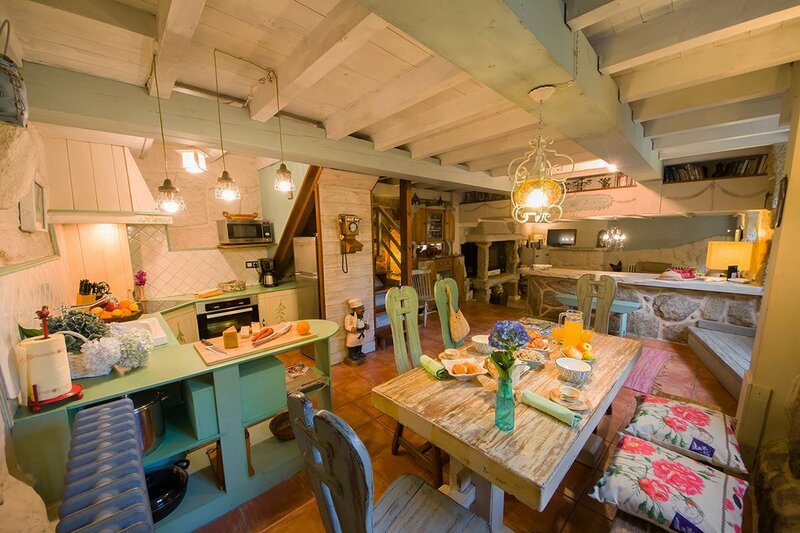 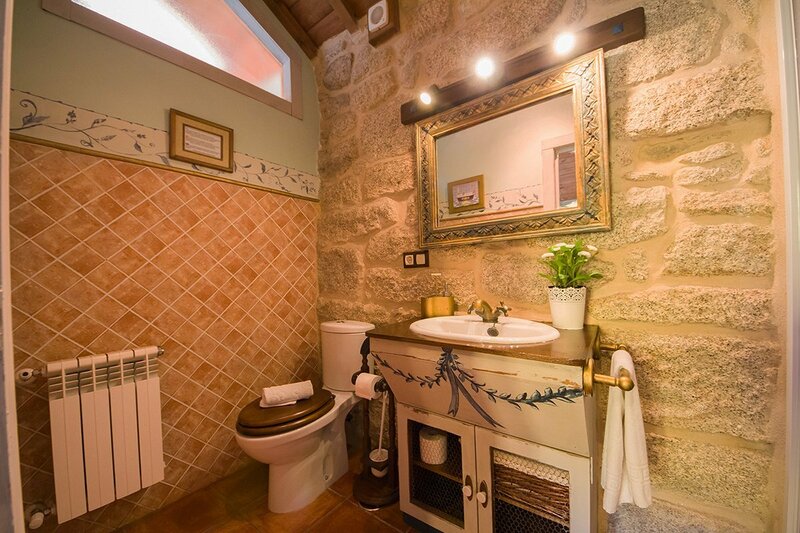 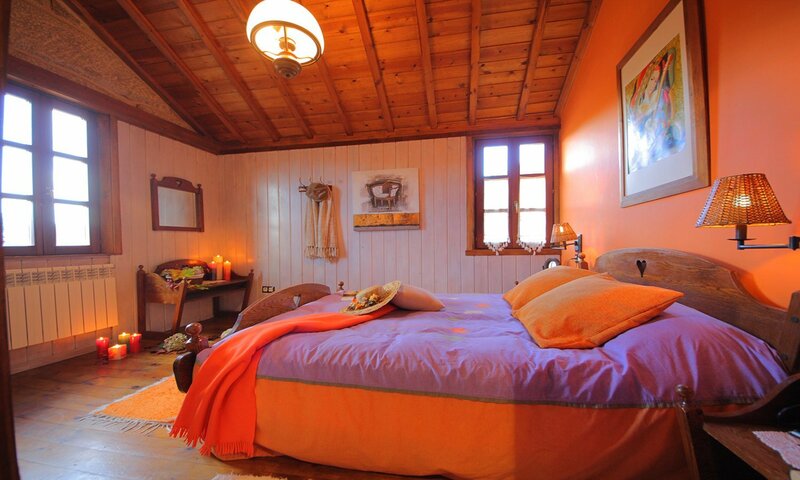 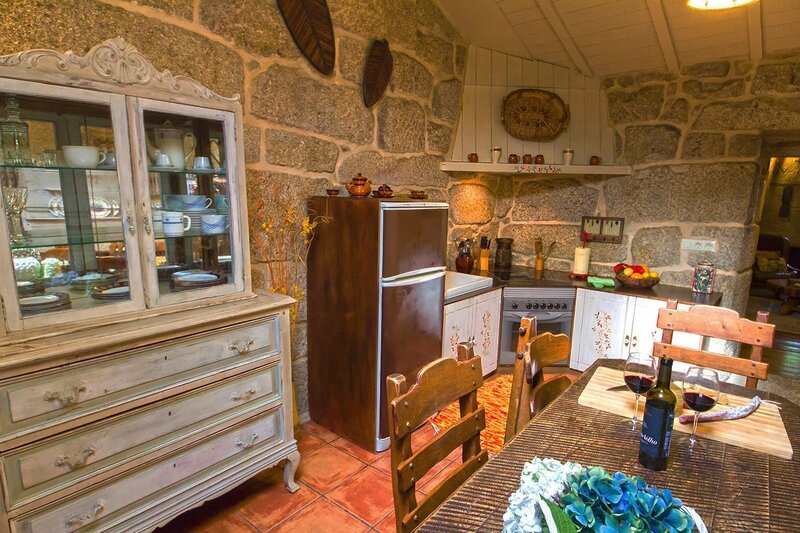 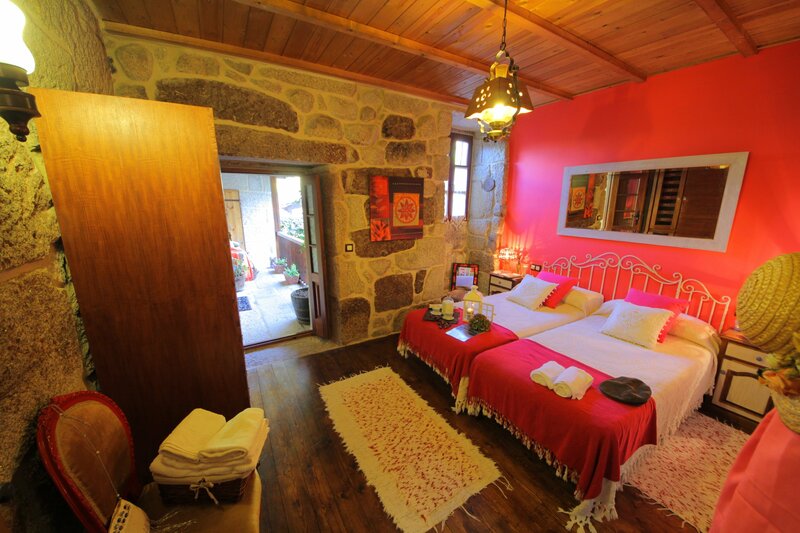 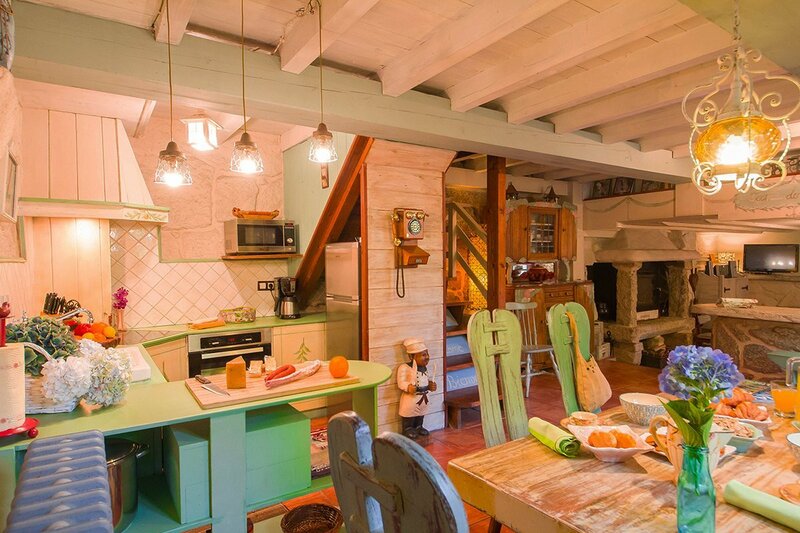 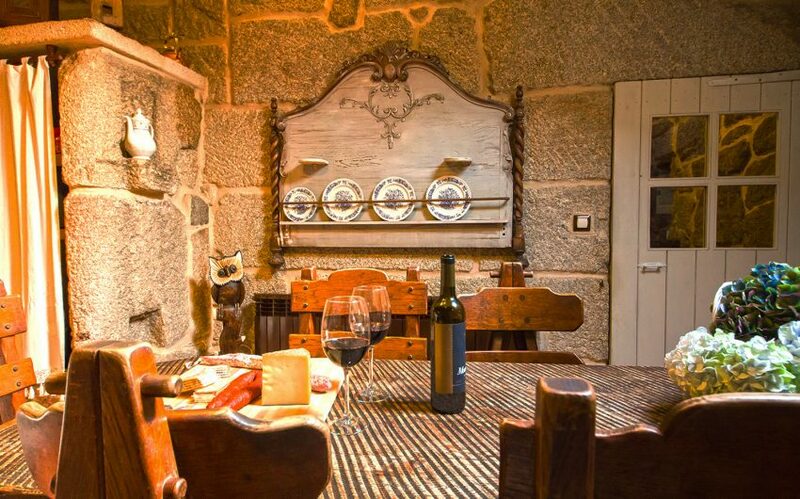 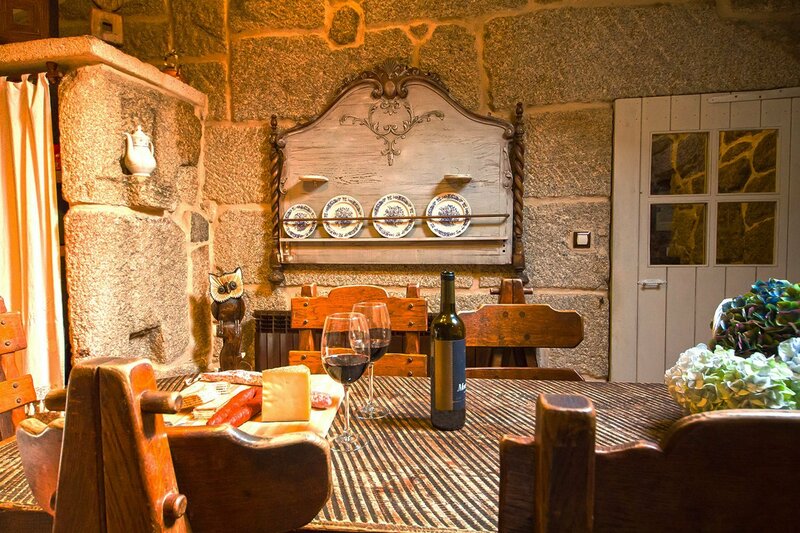 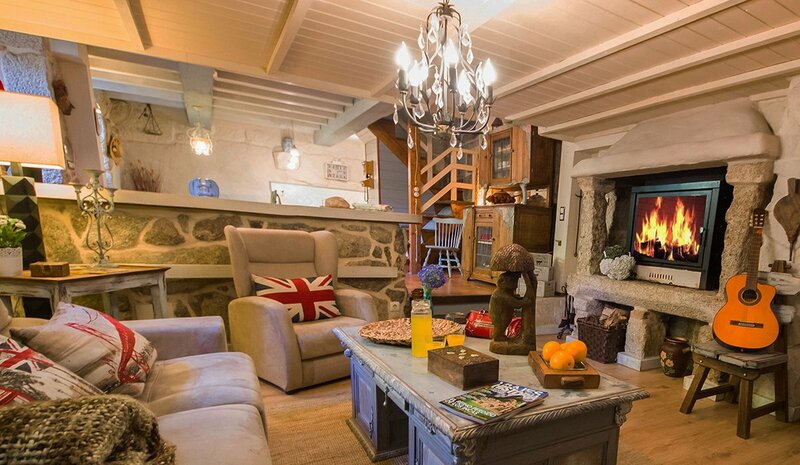 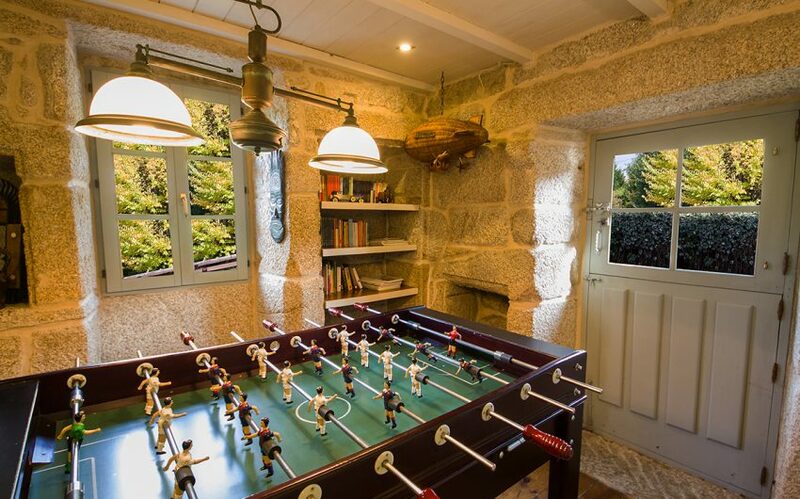 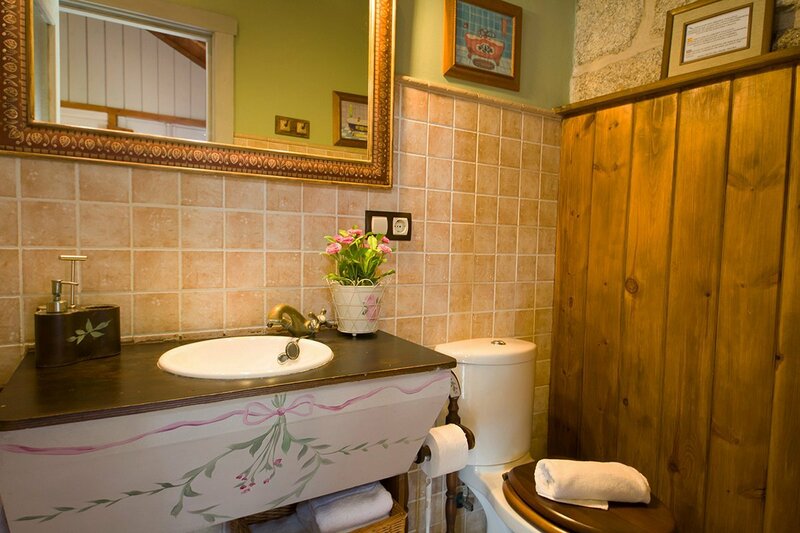 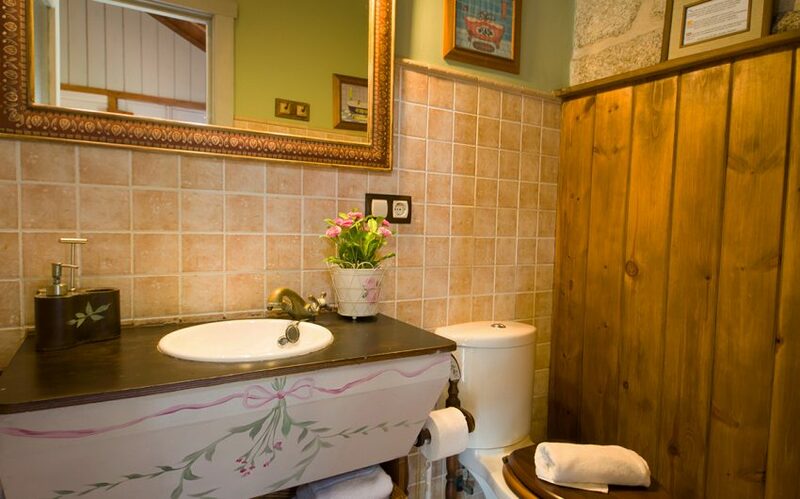 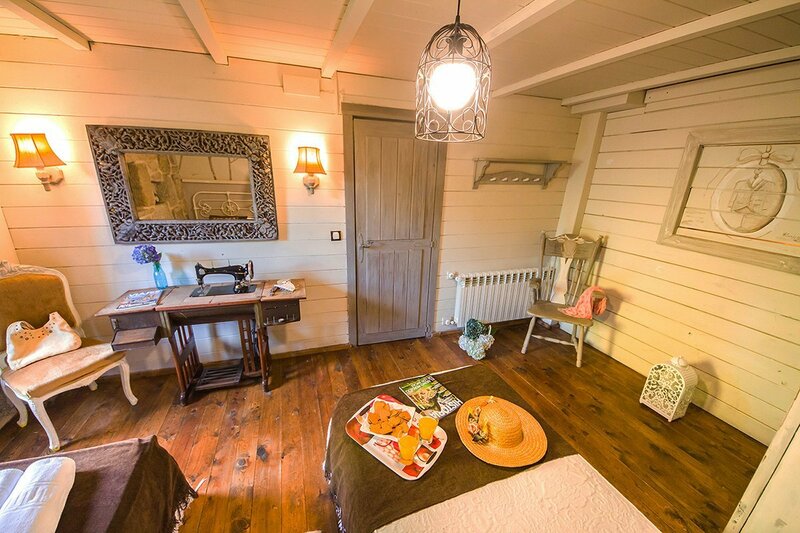 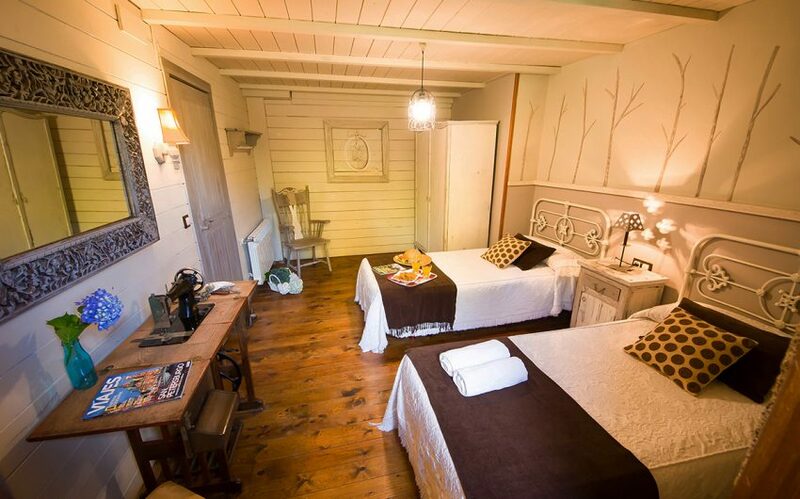 Enjoy RURAL TOURISM IN GALICIA in our RURAL HOUSES IN PONTEVEDRA with totally personalized Vintage Decoration. 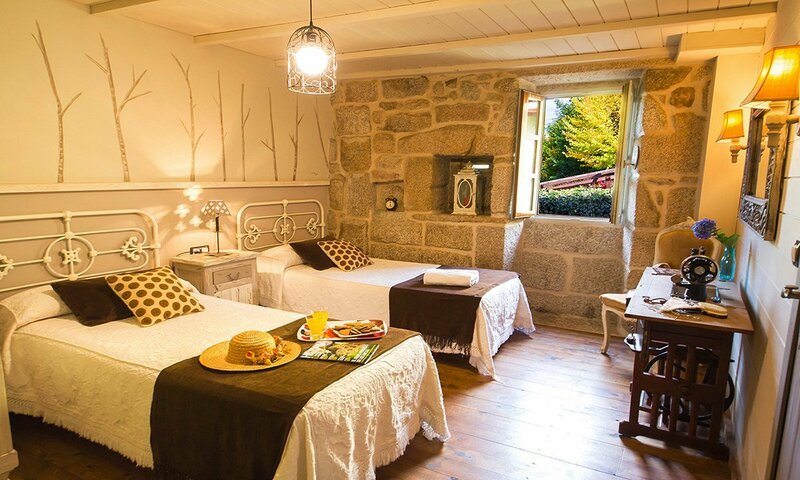 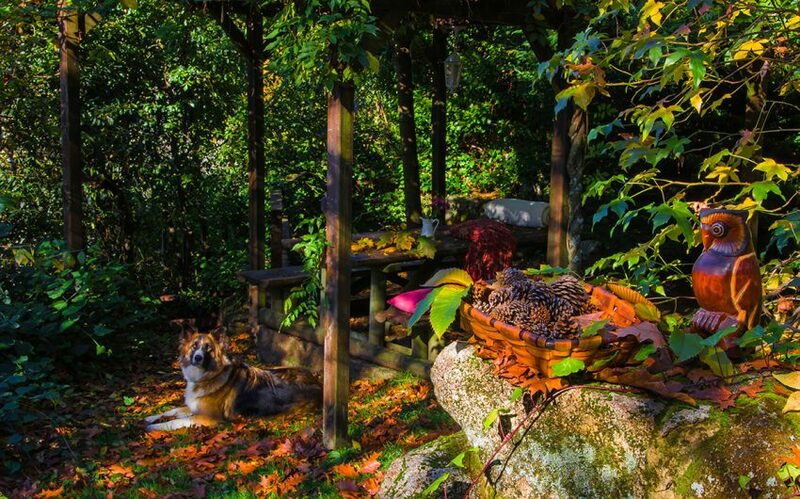 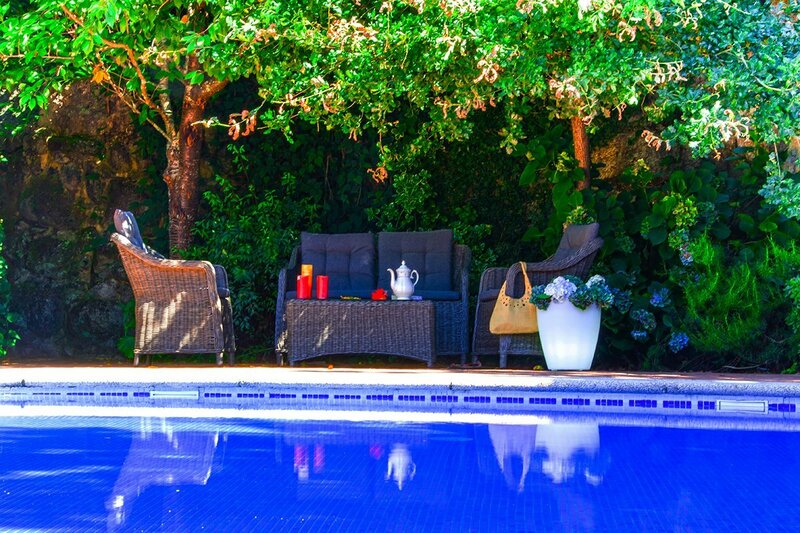 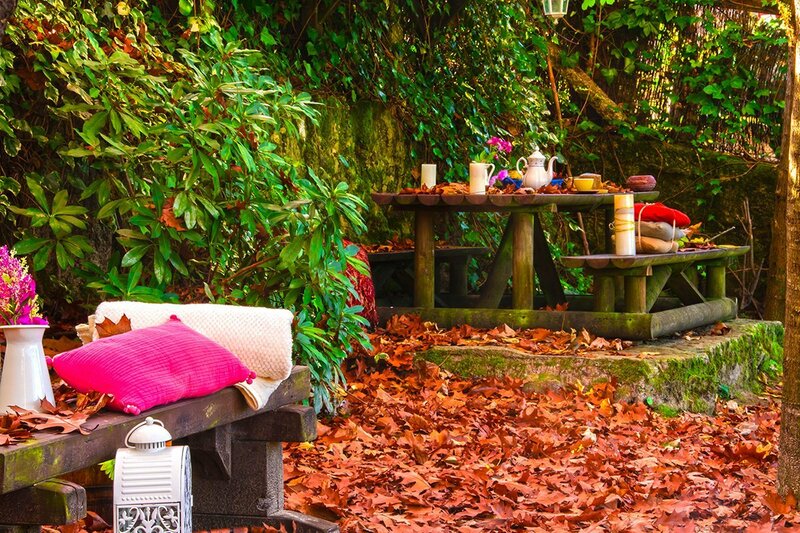 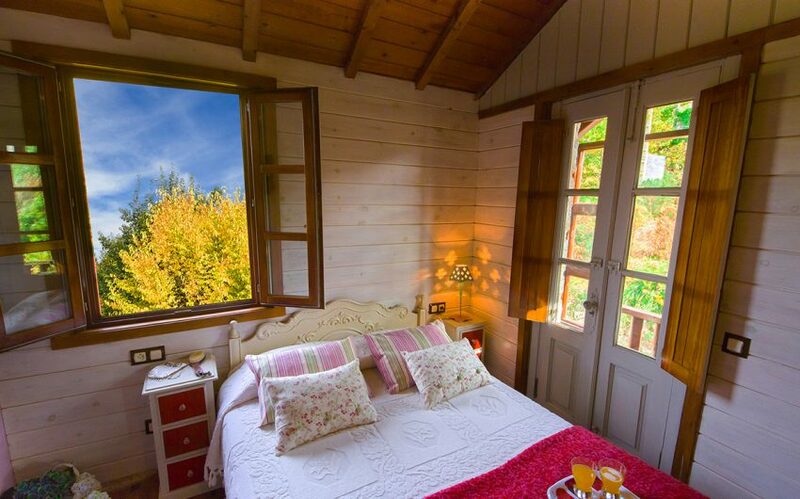 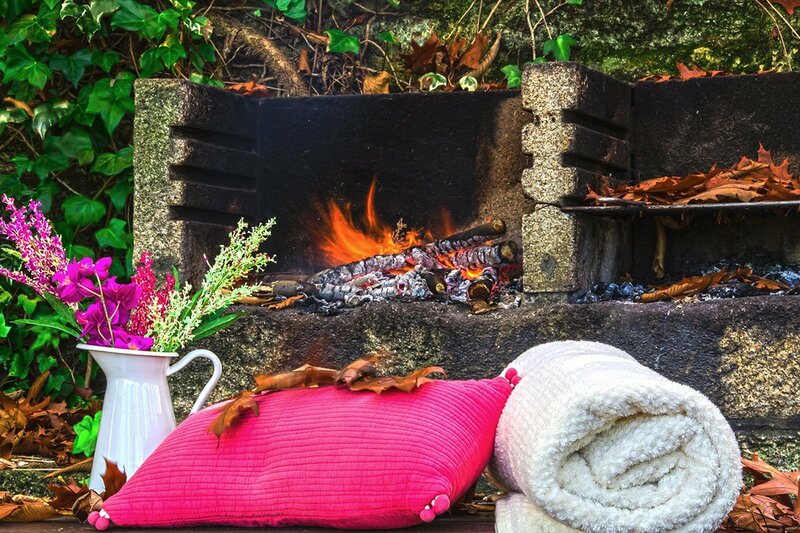 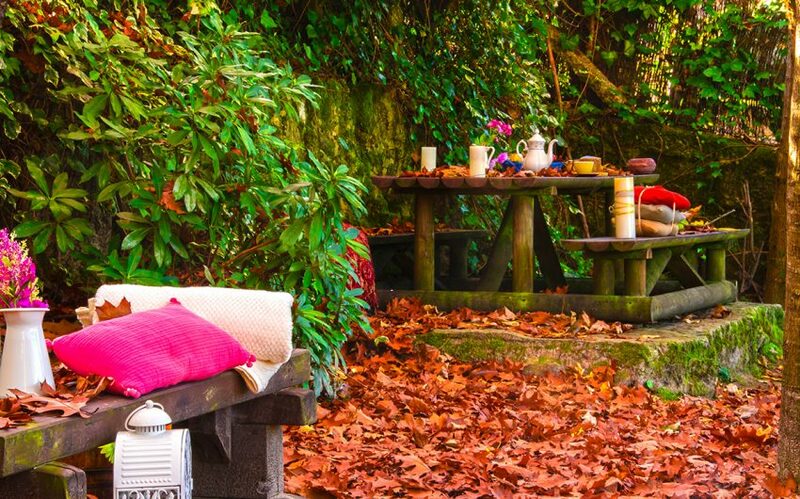 Between forests and mountains, near the Rías Baixas, we find a place to rest, perfect for relaxing and leaving stress behind. 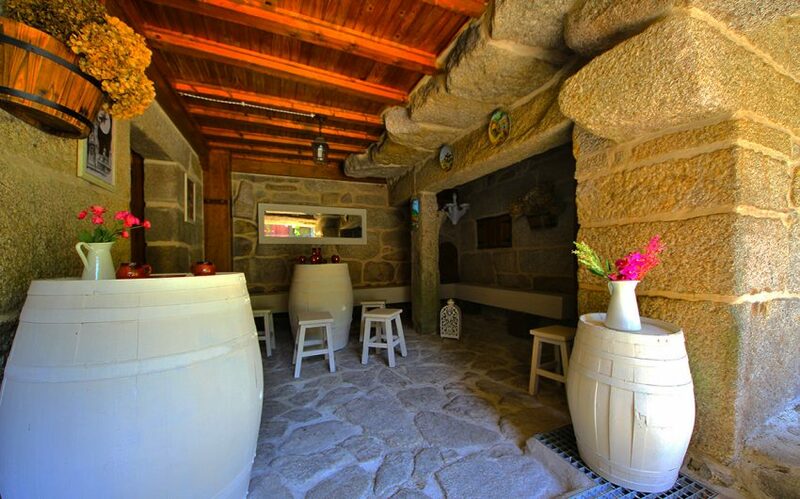 Cas do Mestre, a former school now restored in detail, but keeping the taste of Galician traditions on its walls. 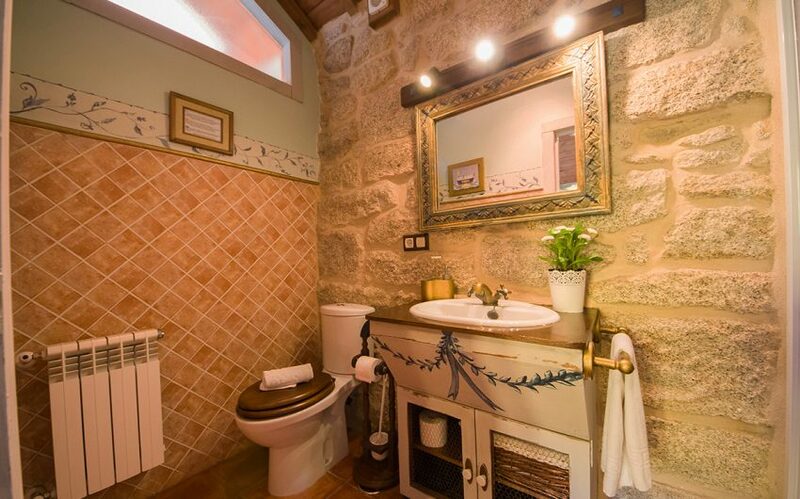 All this results in a house with five cozy double rooms with bathroom, one of them with whirlpool bath. 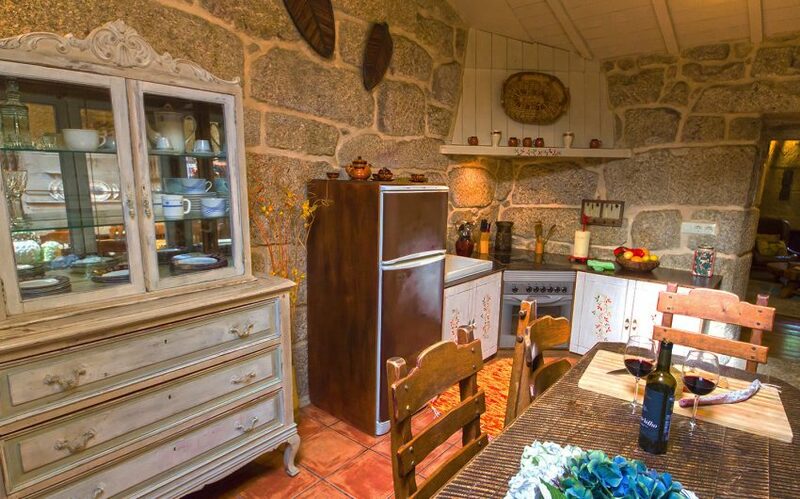 Fully equipped kitchen and fireplace in both spaces. 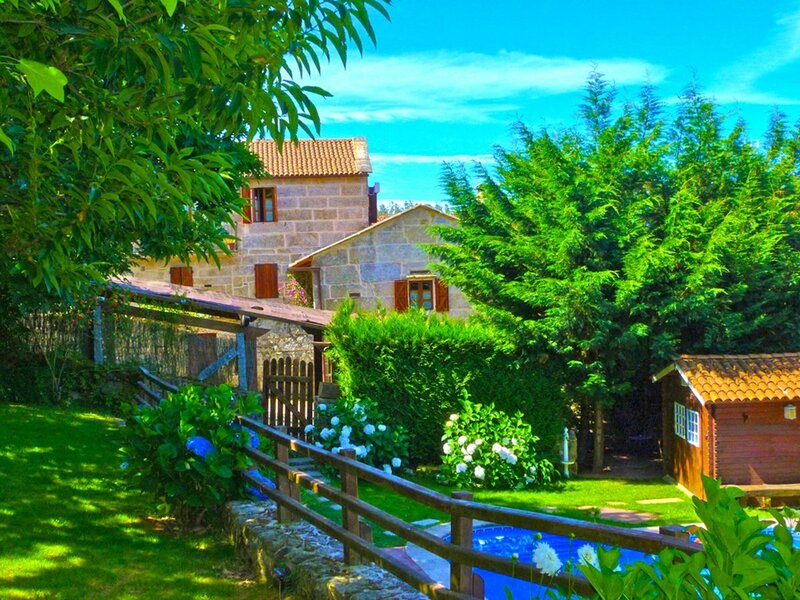 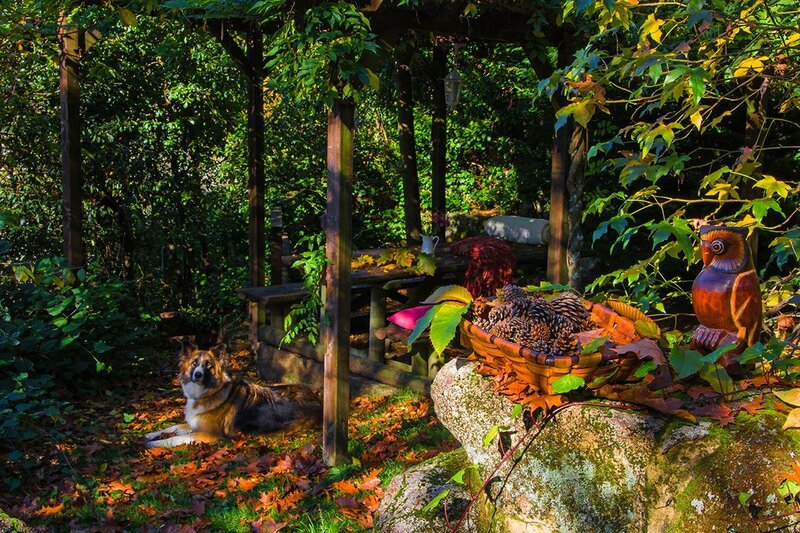 Cas do Mestre is an accommodation in which you can travel with dogs, cats or any domestic animal, as pets are allowed. 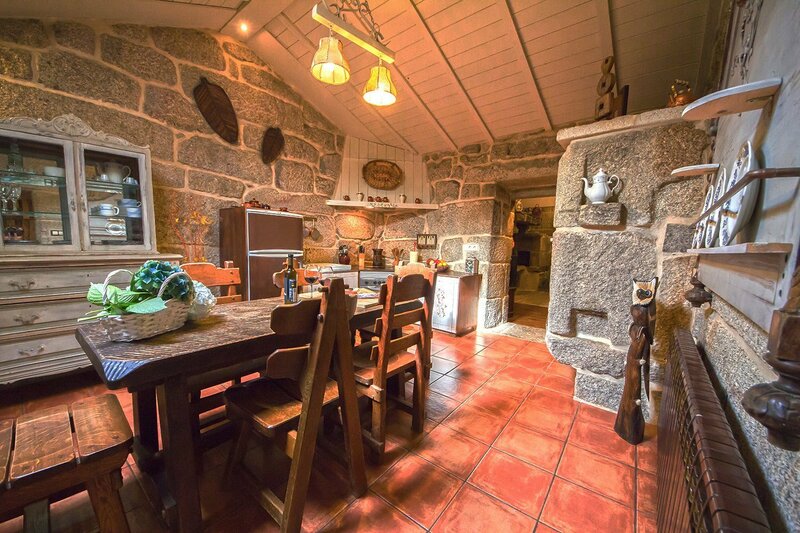 Our stone house is located in the heart of the low estuaries in the province of Pontevedra and just one step from the best beaches in Galicia. 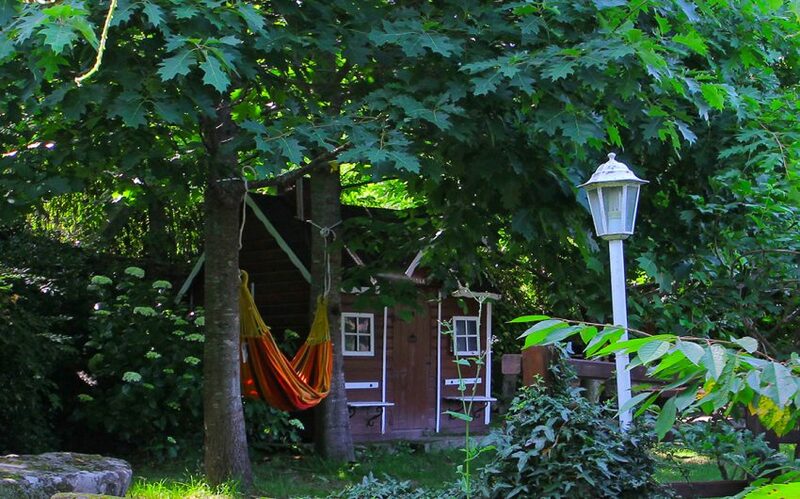 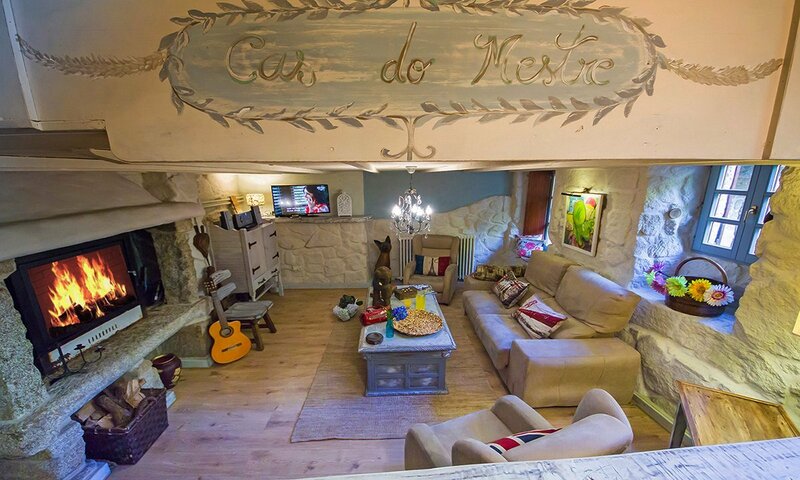 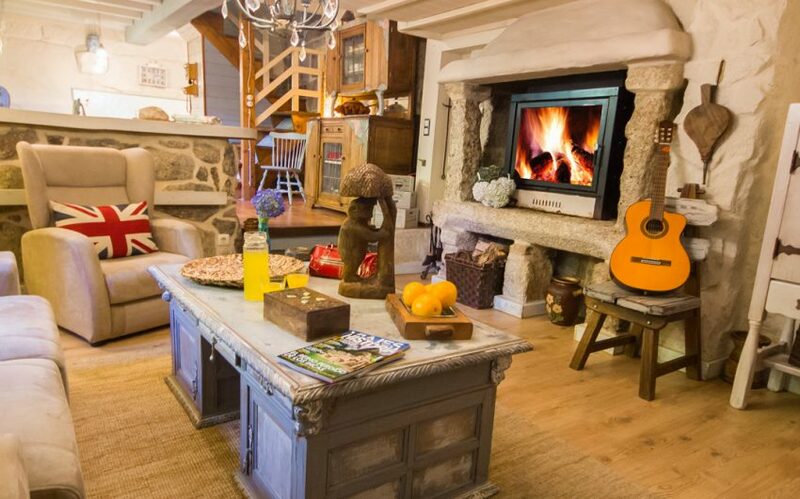 This cozy house is the ideal place to enjoy a family holiday with all the comforts you can imagine. 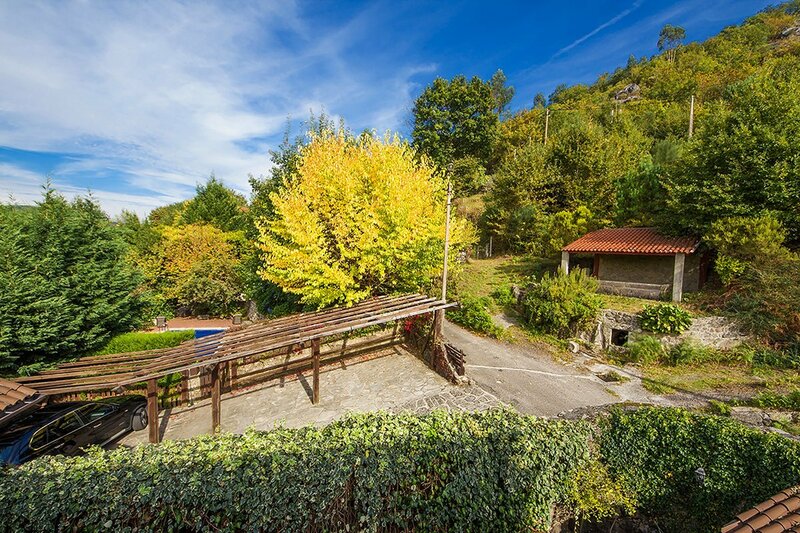 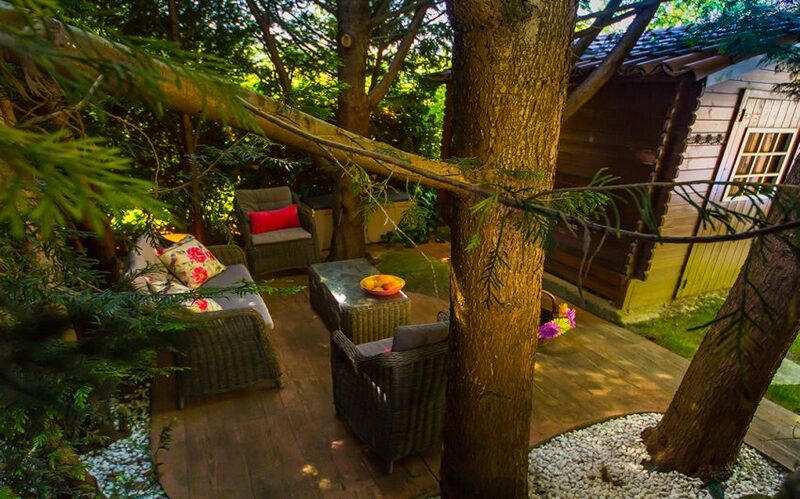 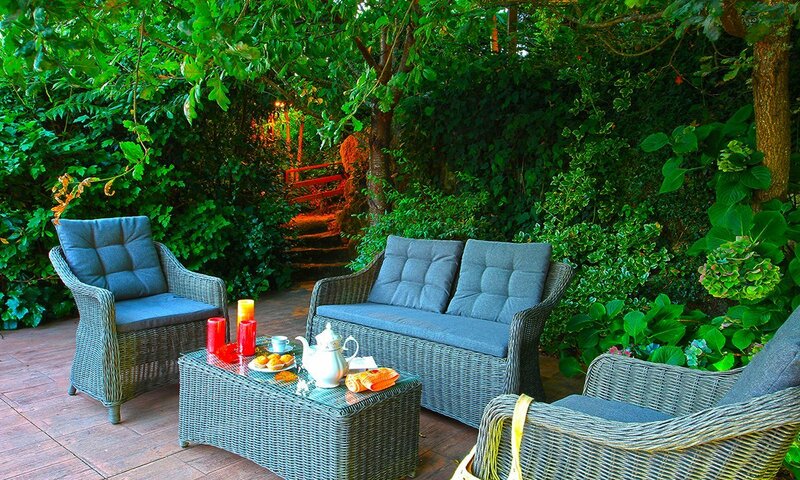 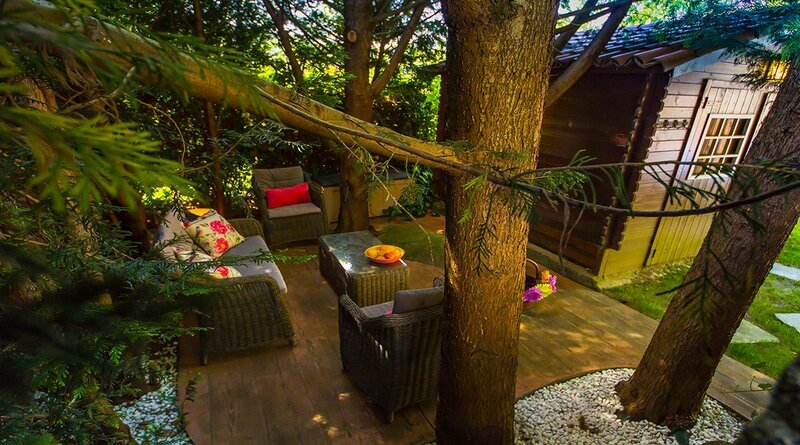 It has unique views of nature and you can enjoy that contact in its large gardens. 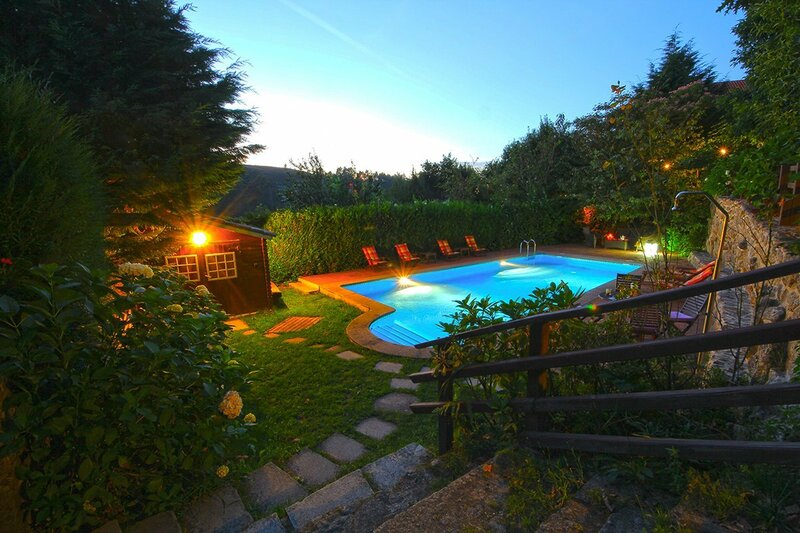 It is a very popular holiday home with children in northern Spain. 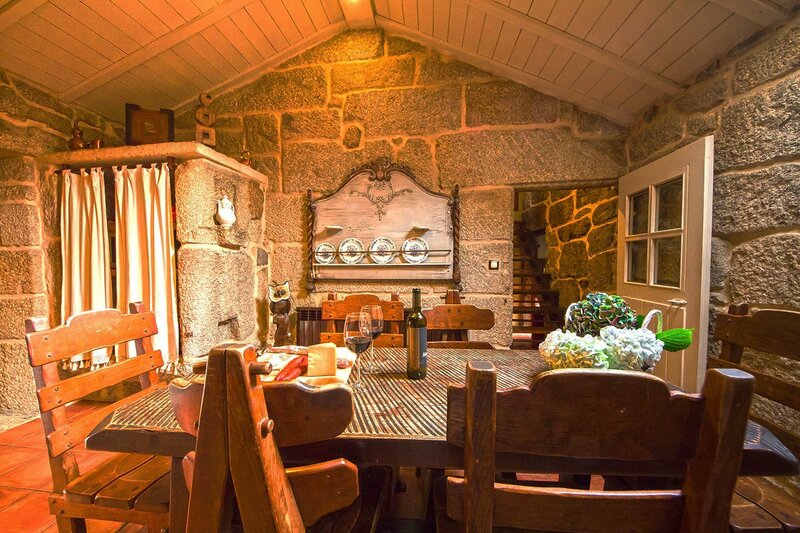 Capacity from 10 to 14 people: The house is divided into two spaces, first space has 3 rooms and second space has 2 rooms. 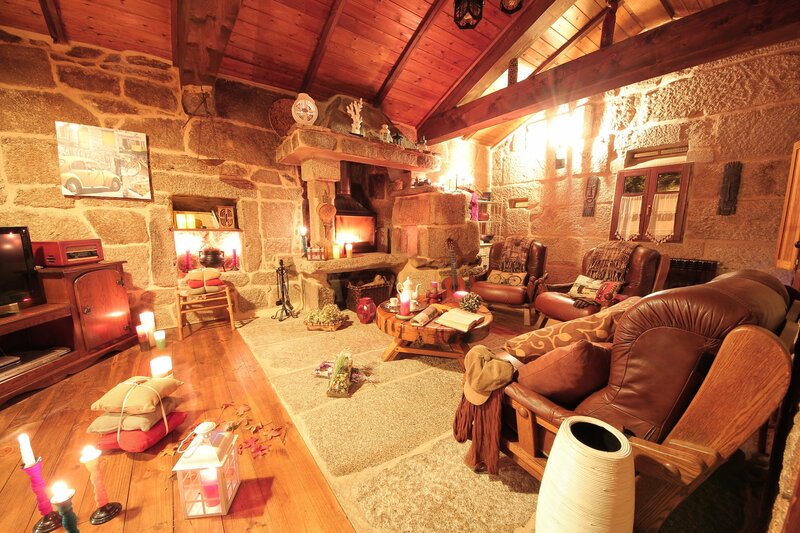 Comforts: Both spaces have all the necessary comforts to work together or separately. 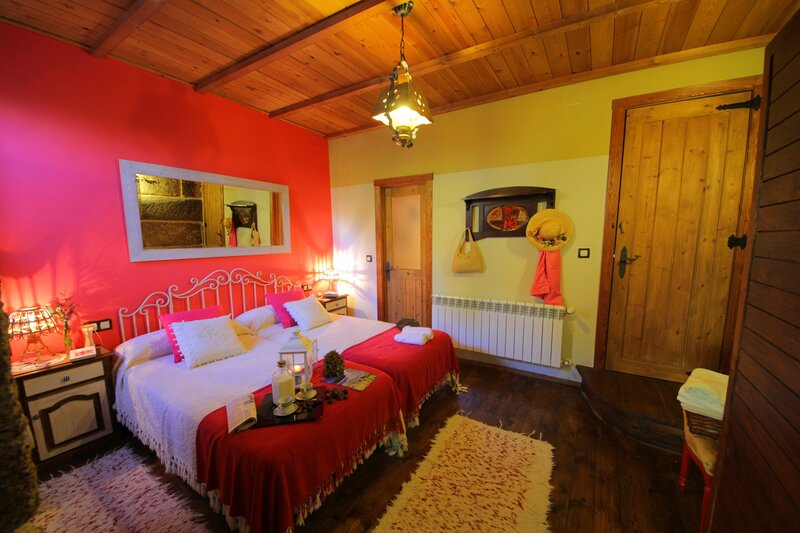 Bedrooms: Second space has two double rooms with bathroom and first space has 3 double rooms with bathroom. 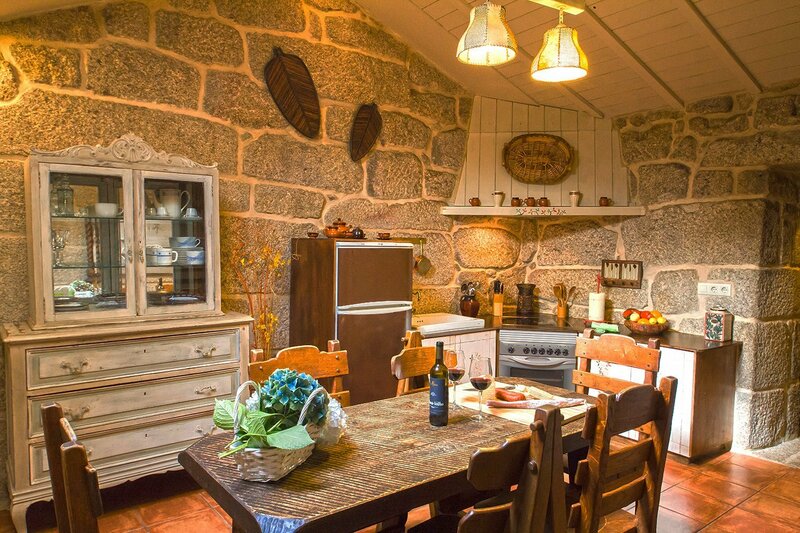 Equipment: The kitchen is fully equipped with microwave, oven, fridge with freezer. 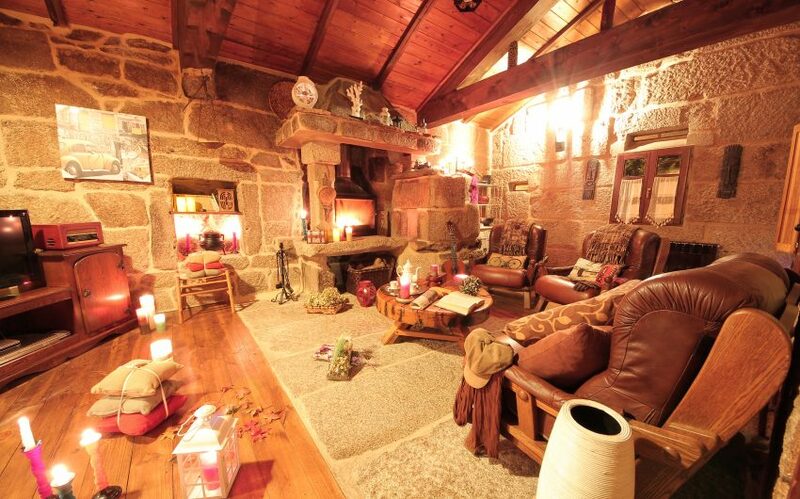 The living room with fireplace, television and sound equipment will make you feel in a dream house. 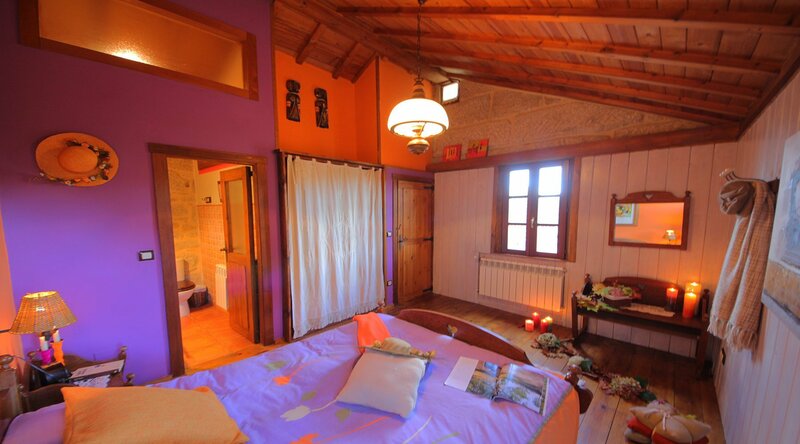 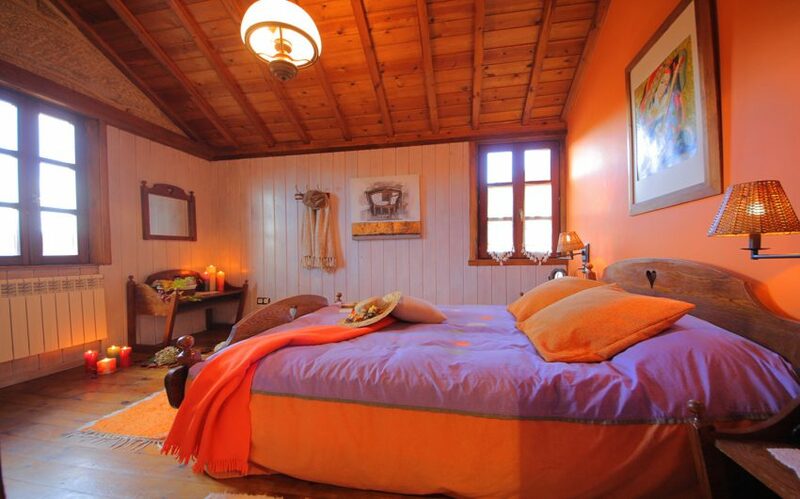 Bedrooms: You will enjoy 200 m2 with 3 double rooms. 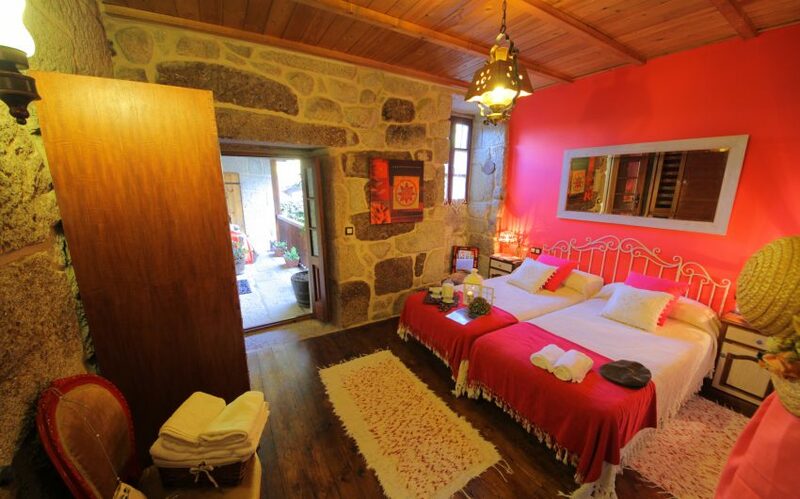 2 rooms with single beds and 1 room with double bed of 1,5m. 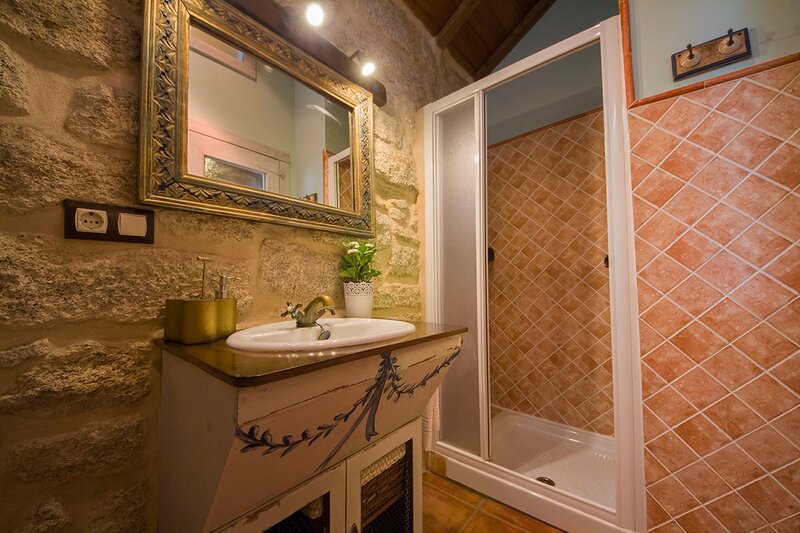 3 bathrooms, one of which has a whirlpool bath. 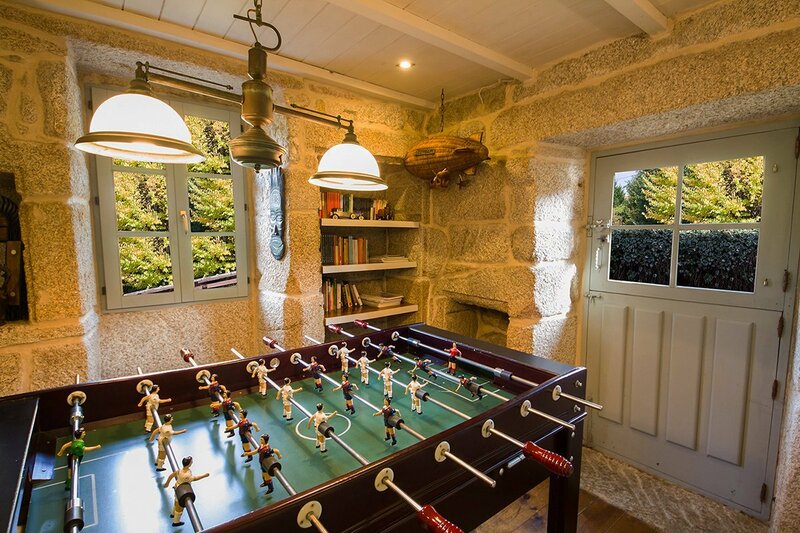 More details: You can enjoy a large collection of books, board games, washing machine and dryer. 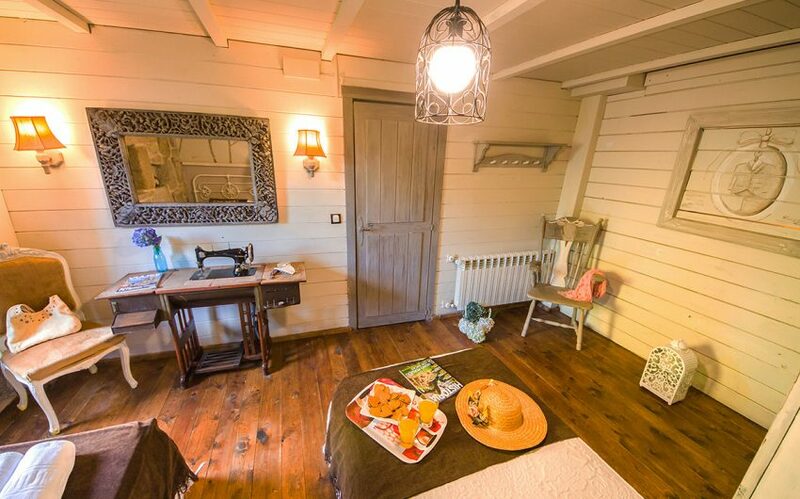 Cot and high chair available. 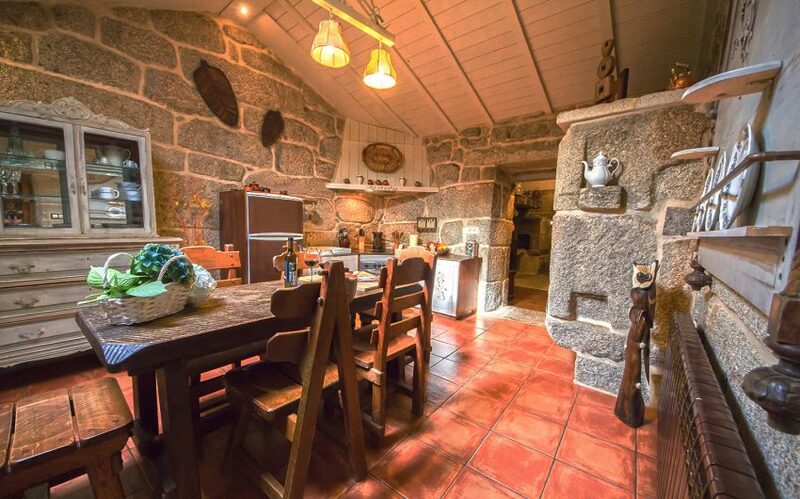 Equipment: Its spacious kitchen is fully equipped with oven, ceramic hob, microwave, etc., as well as everything you need for a comfortable holiday. 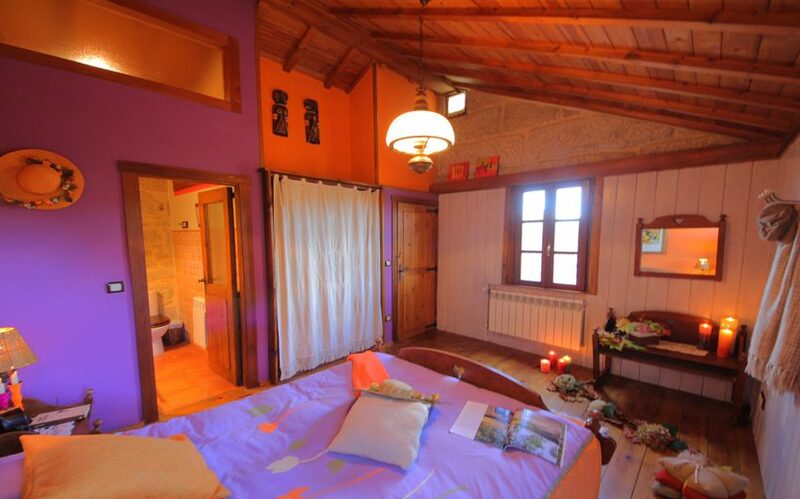 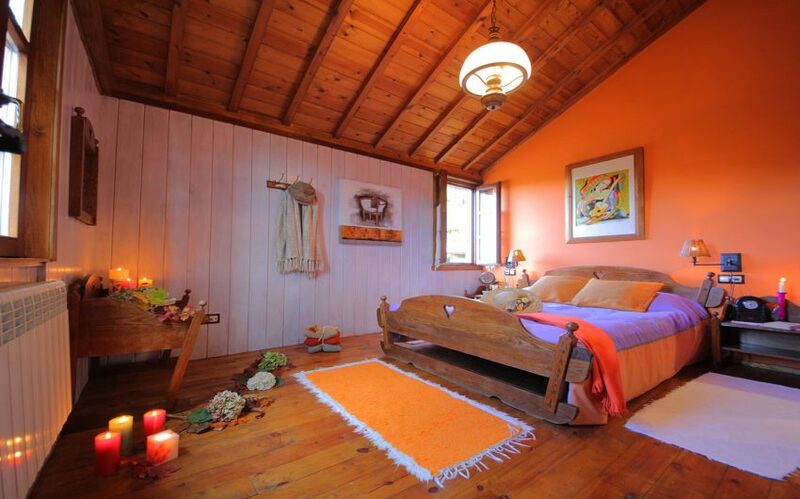 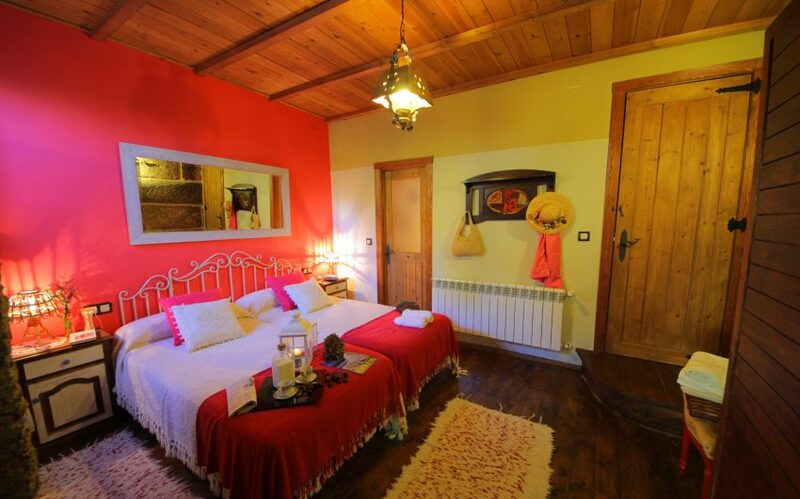 Bedrooms: This house has two comfortable double rooms with bathroom. 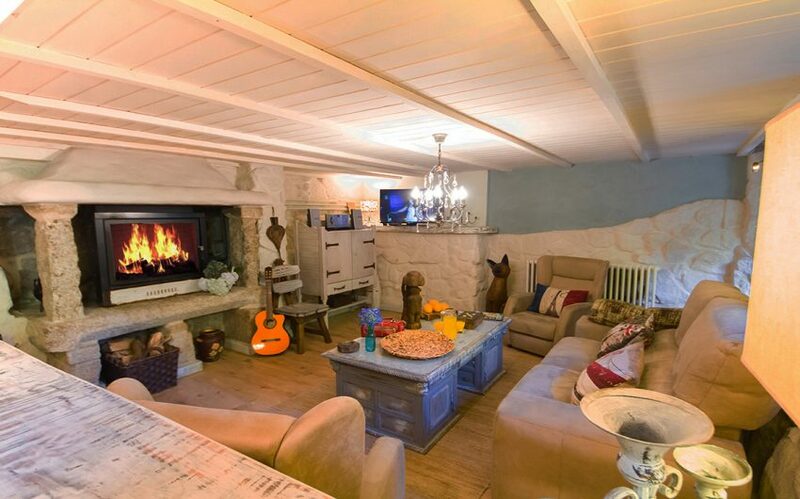 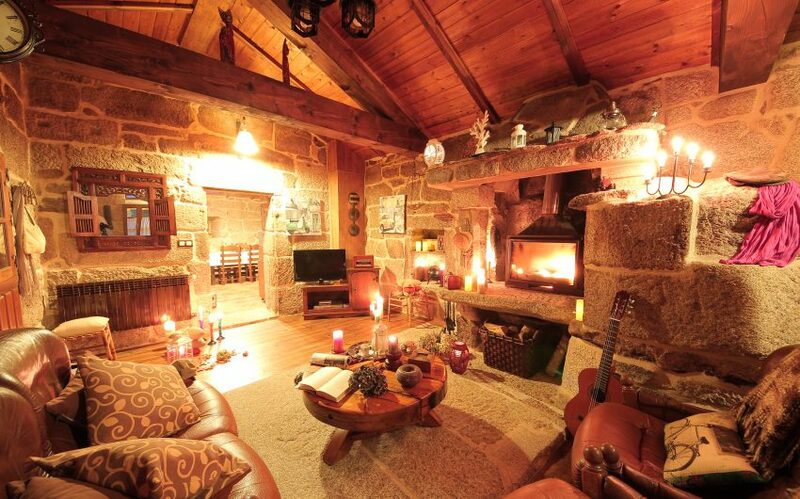 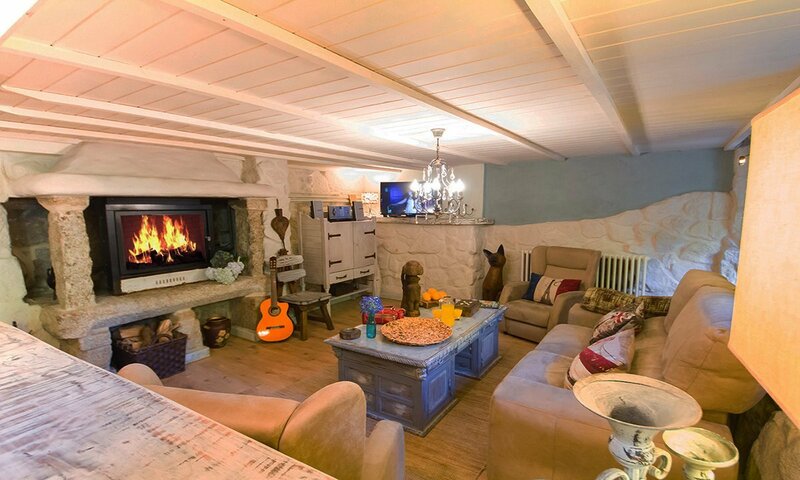 A large living room with fireplace and an antique stone oven. 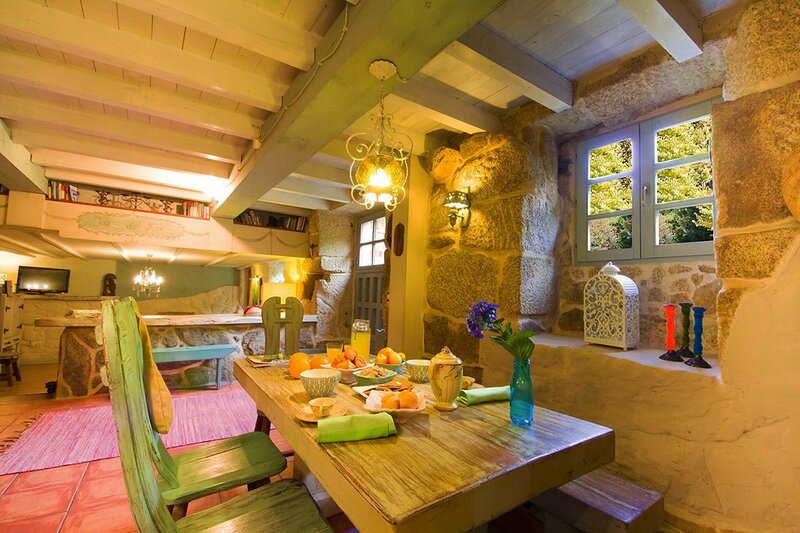 More details: Surface of 180 m2, that include, dining room, lounge and chimney. 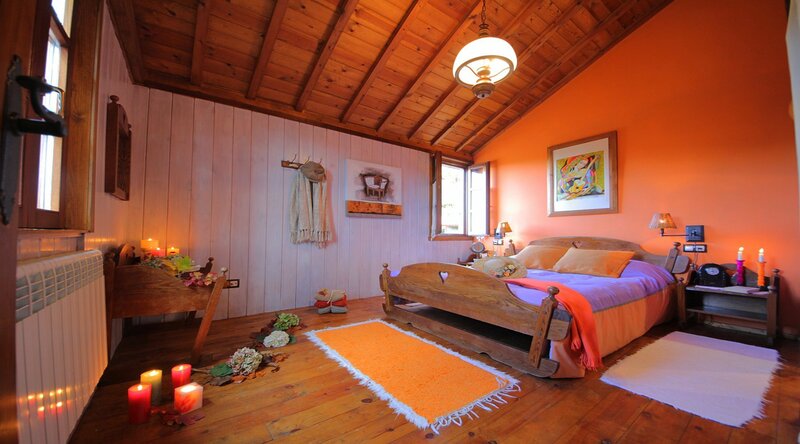 In addition to TV and DVD and all the advantages of common areas. 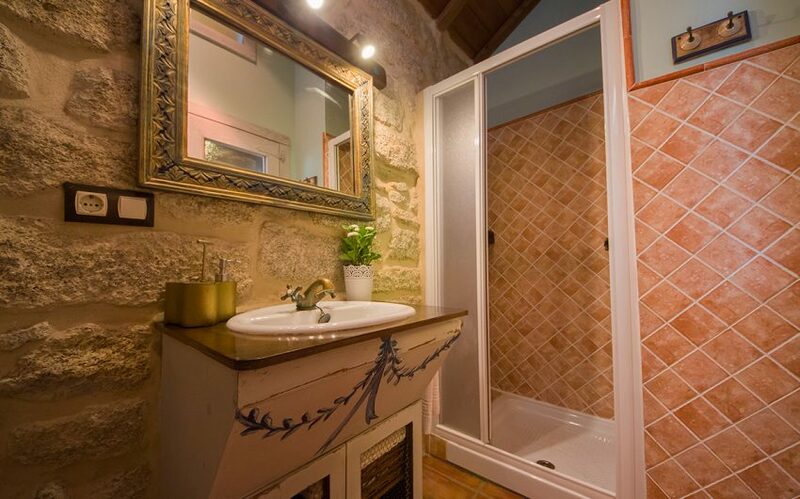 The perfect choice for a rural getaway . 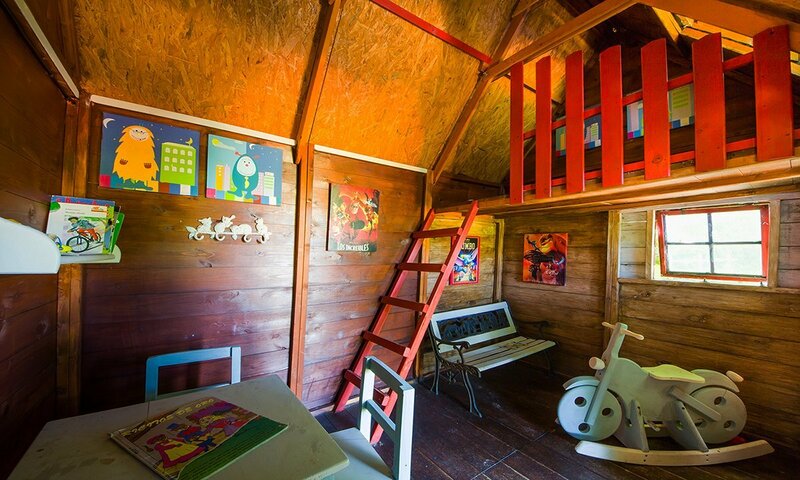 Your wooden playhouse is a great attraction for the little ones. 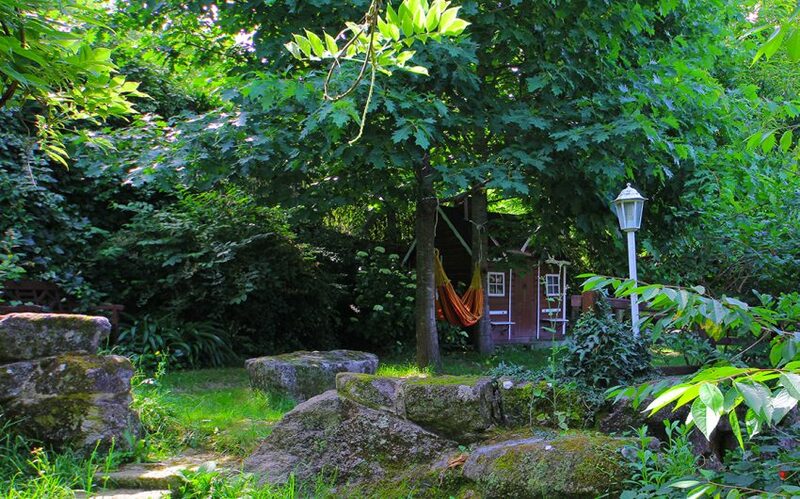 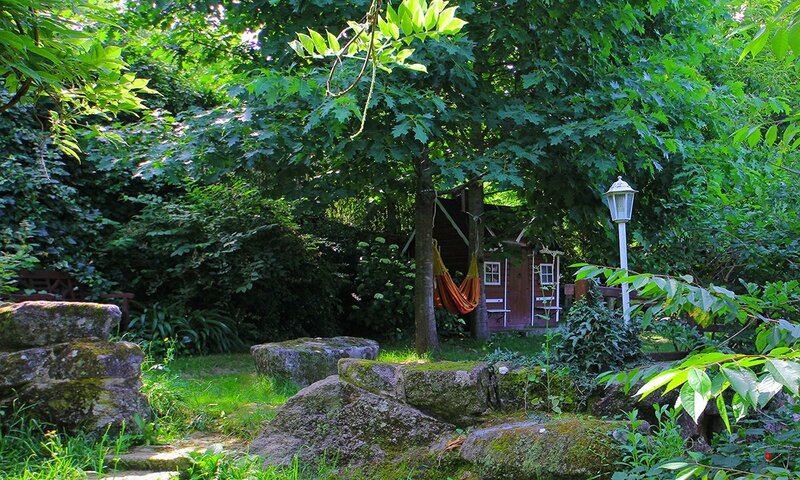 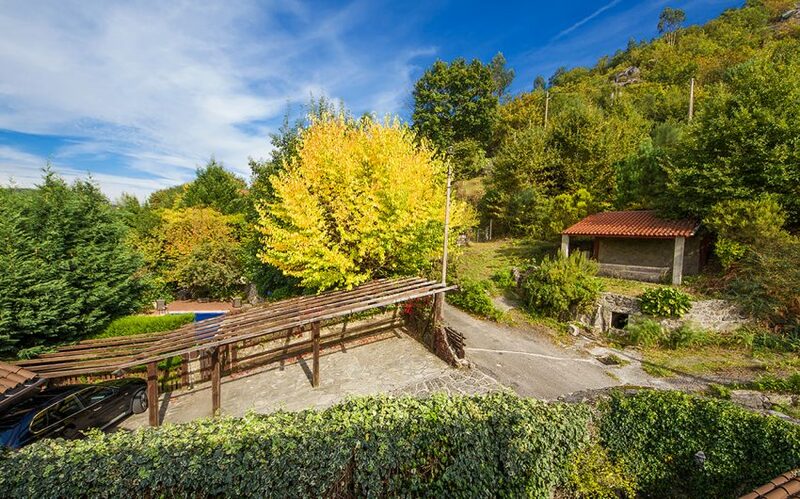 The house has a tree-lined garden, sun loungers, central heating, swimming pool of 10 x 5 meters, 2 barbecues, wooden playhouse for children, Wi-Fi Internet, free firewood, outdoor tables, parking and garden chairs. 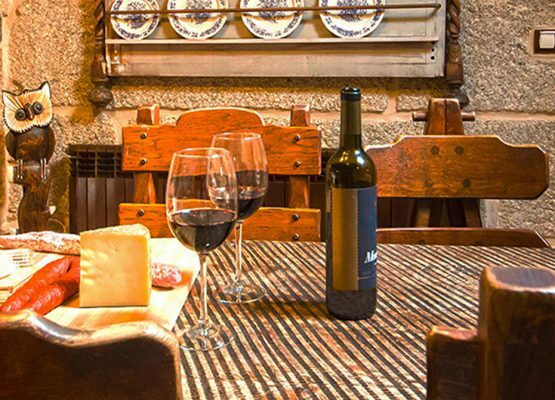 Remember: Make your reservation in advance. 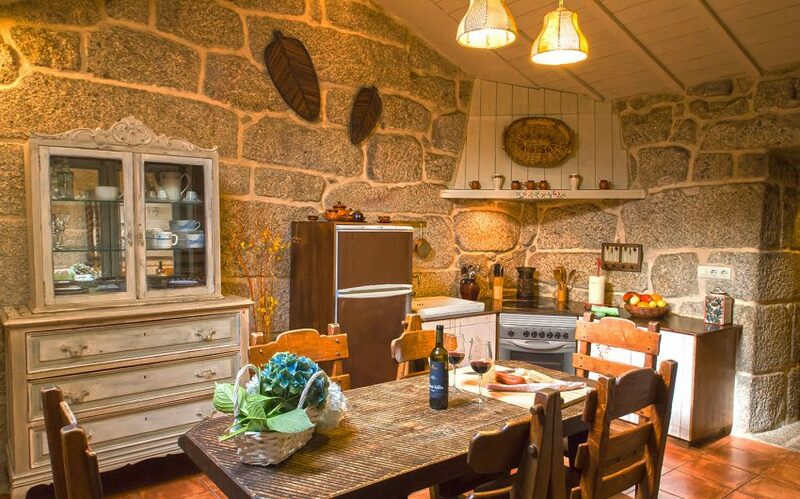 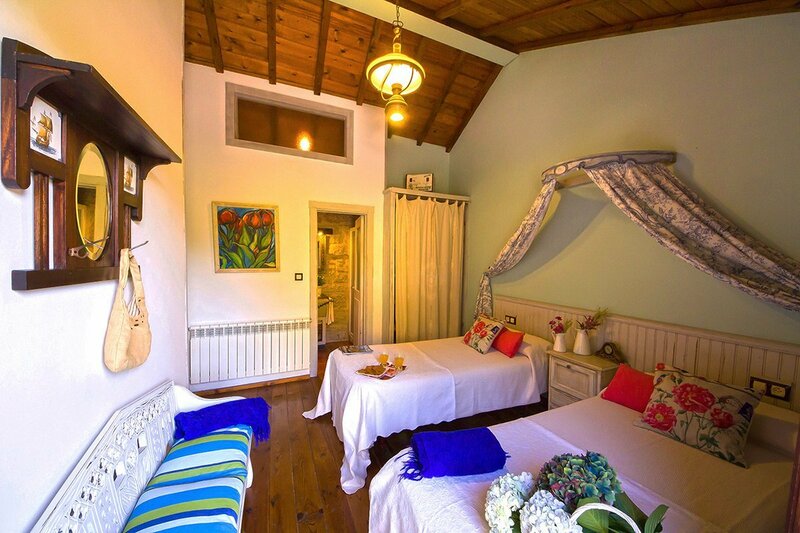 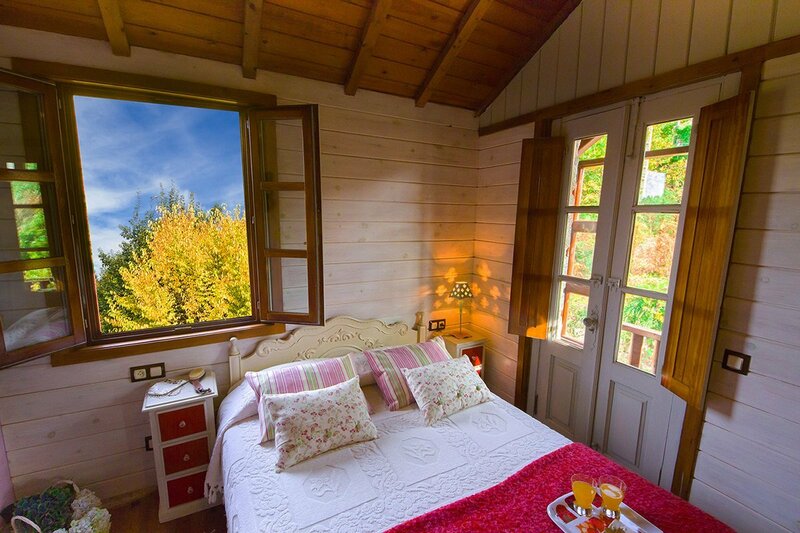 Cas do Mestre is one of our most sought after properties. 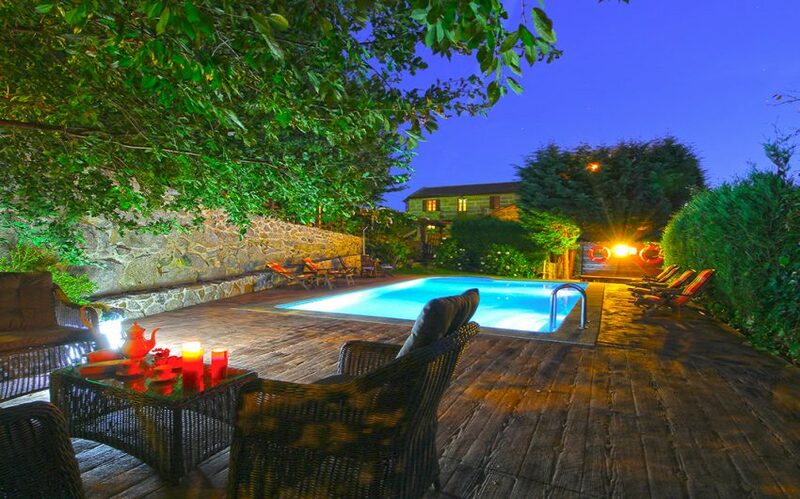 We are the owners of the property and you can book directly without intermediaries. 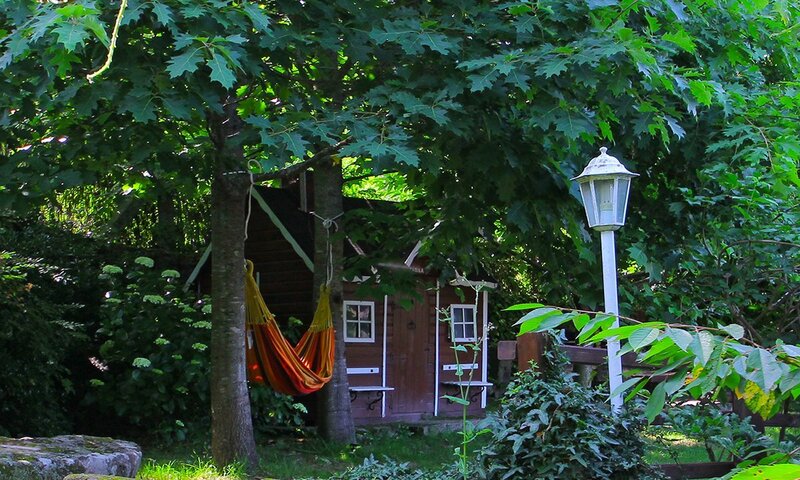 Plan your summer in advance. 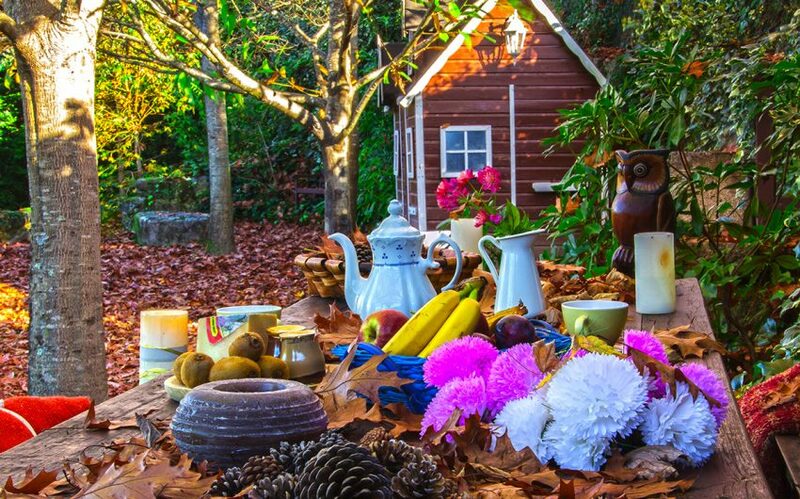 The low season is the rest of the year. 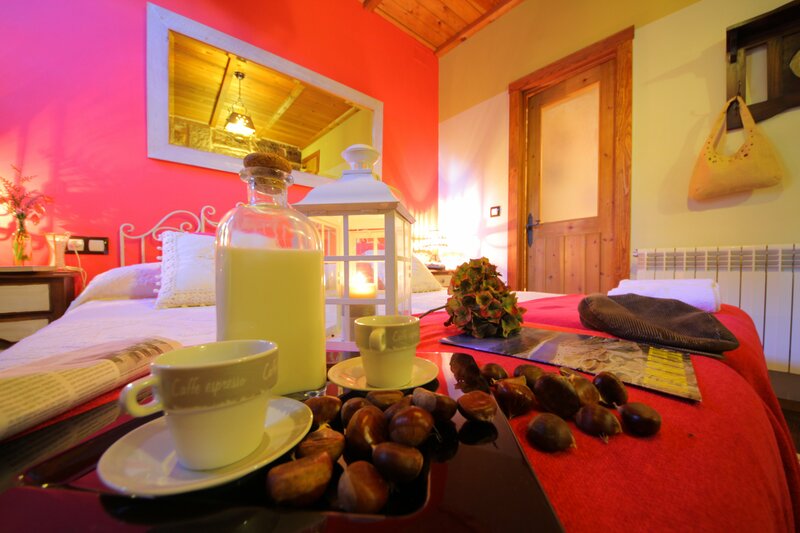 During Easter, Christmas, National Holidays and long weekends special rates will be applied. 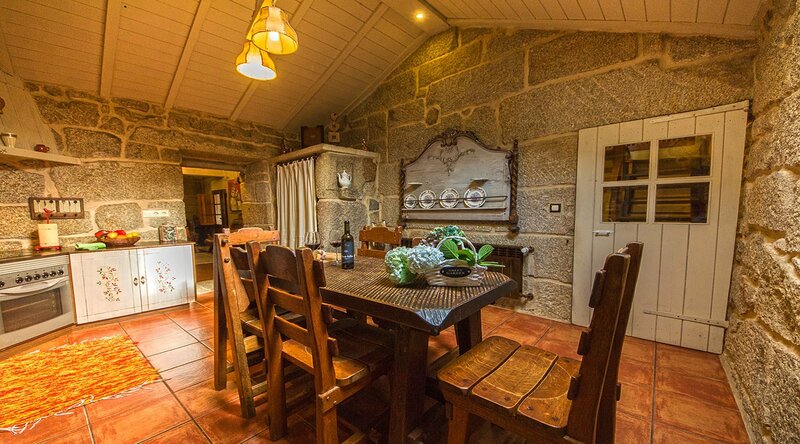 Minimum reservation of 2 days. 25% of the deposit will be charged if the cancellation is made 60 days before the date, 60% if the cancellation is made between 60 and 30 days before the date of entry and 100% if the cancellation is made 30 days before the date. 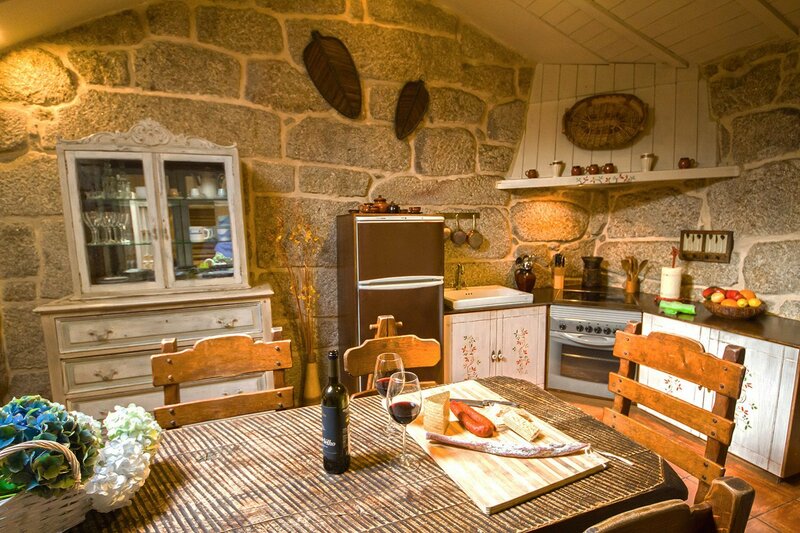 200 € by credit card. Rural House in Spain for 4 people. 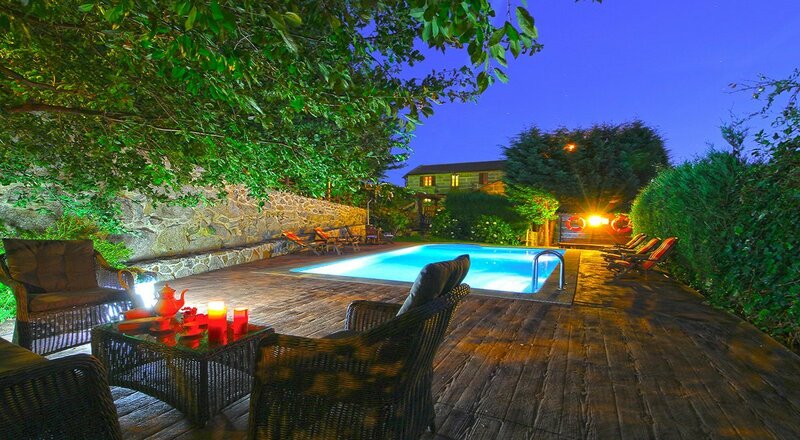 Swimming Pool and Children Stone House. 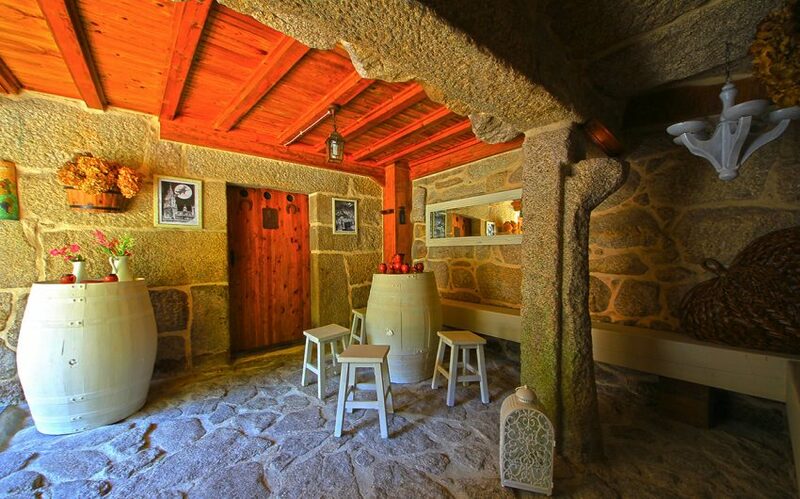 Located in Galicia (A Lama).